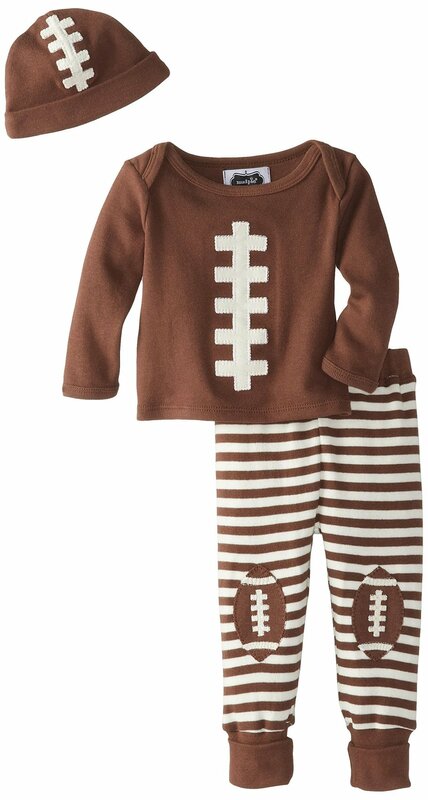 Precious baby boys football take me home set includes combed cotton football pant, shirt and baby football hat. 100% cotton. Machine wash. Imported.